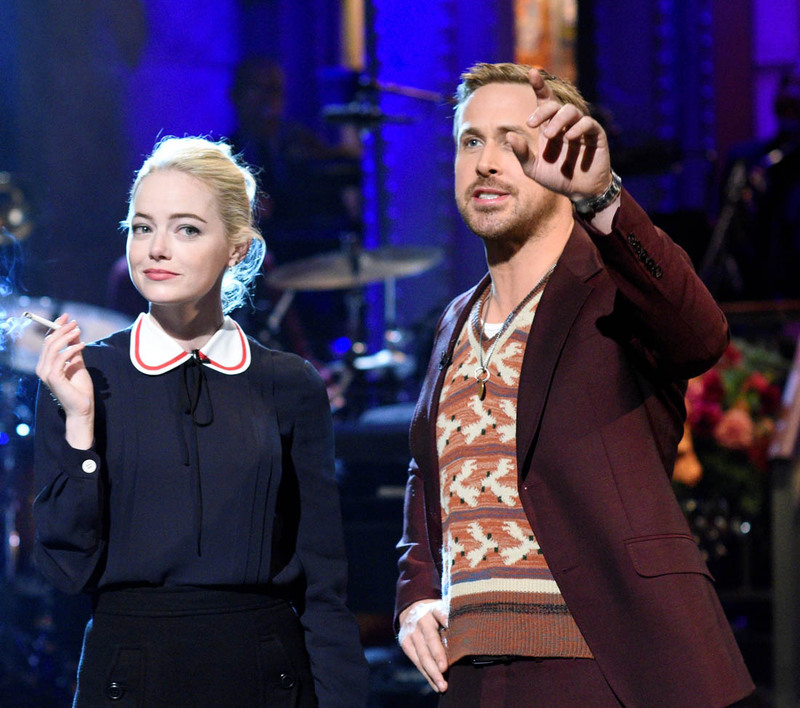 Ryan Gosling hosted the season premiere of Saturday Night Live this weekend. We’ll get to him in a minute. Emma Stone came out near the end of his opening monologue for a La La Land reunion and according to E! News she was also at the after-party, which takes care of an email I received from a reader called Kate on Sunday wondering why Emma wasn’t there and was it because of Eva Mendes. With all due respect to Kate, this is terrible gossip. There’s no drama between Emma and Eva and Ryan, regardless of whether or not she went to the party. And if that’s what you’re focusing on, you might be sleeping on another story. Dave apparently follows some of Emma’s friends on Instagram. So there’s been some speculation among her fans that they’ve been able to go undercover all this time, although it’s also very possible that they’re just friends. Emma keeps her sh-t locked down pretty tight – I’ve asked around and no one is talking. But this is the better gossip lead to follow rather than wasting time on the non-story that is Emma vs Eva Mendes over Ryan Gosling.